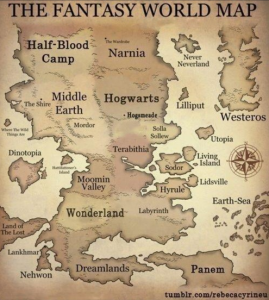 World building is an important component of fantasy writing because your fantasy world must be grounded in a history and abide by certain rules in order to persuade your readers to suspend their disbelief when you bring in magic, fantastical beasts and other implausible elements. Below are some of the important questions to ask yourself when creating a fantasy world. Where is the story located? Is it a past, future or alternate Earth, or is it another planet or another dimension? Think, for example, of C.S. Lewis’ Chronicles of Narnia. In The Lion, the Witch and the Wardrobe, the child character Lucy accidentally discovers a passage to a fantasy world while hiding in an old wardrobe. This allows for a parallel world where there are different rules, laws and power politics. Who are the main intelligent inhabitants of your fantasy world? Are humans the only intelligent species, or will there be creatures like dwarves, fairies, elves and more? Alternately, will there be species you’ve made up? C.S. Lewis in the above-mentioned series features talking animals who help the protagonists navigate the dangers of their new environment. What is the government system in the part of the world you’re focusing on? Is it a monarchy, a republic, a democracy, a dictatorship or something else? Are its internal workings clearly described or purposefully left hazy (as in the rule of Sauron in The Lord of the Rings) to create a sense of mystique or ominous tyranny? What is the rest of the world like? What types of government and inhabitants are there? What is the relationship between people you’re writing about and the rest of their world? Are they the dominant culture, or are they dominated? When you create a fantasy world, remember to include the types of societal difference we find ourselves, as this will add depth. What important historical events have led to the present situation? What wars, alliances and other situations are relevant? 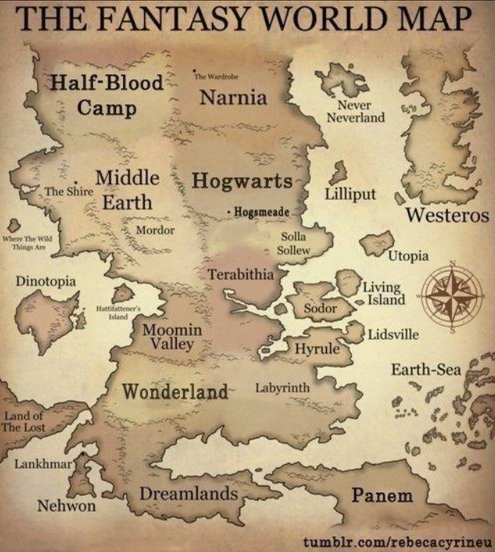 Technologically, how does the fantasy world compare to our world? Is it more or less advanced, or does it have a mix of technologies? When creating a fantasy world, use small technological details where appropriate to create a strong sense of your fictional place as a distinctive land. What is the standard of living for average people? How educated do they tend to be? What does “educated” mean in this world? Does magic exist in the world, and if so, how is it regarded, and who practises it? What are the most important values of the society that you are writing about? What type of religion do people practise? What is the class situation in the society you are focusing on? Does one gender or race tend to be favoured over another? When you create a fantasy world it needs to be extensive enough to create a plausible setting and background for your story, but it cannot substitute for the actual writing of your book. In other words, be careful that you don’t get so bogged down in or fascinated with your world-building that you neglect to actually write your book. Create your fantasy universe – the Now Novel Story Builder asks additional questions that help you work through your ideas and create a blueprint for your story that is easy to build on.